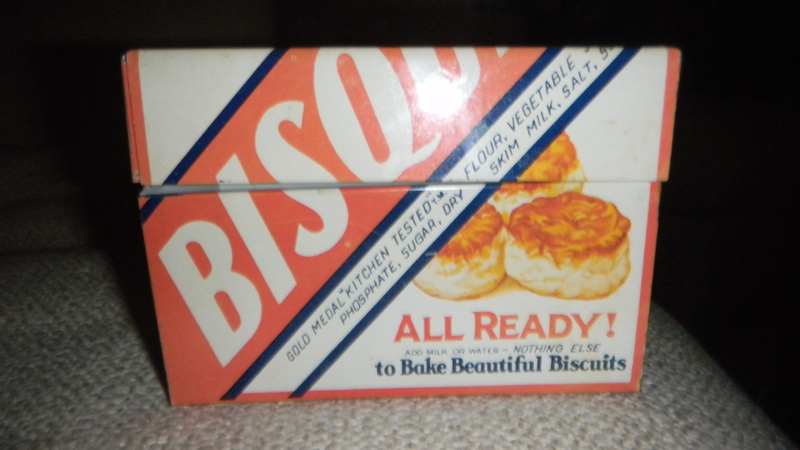 As part of my Christmas gift, Dan got me a vintage tin recipe box. The date on it is 1931! Of course, I loved it. Along with the gift came 20 recipe cards worth of free recipe transcribing. You see, I don’t keep the best track of my recipes. They are all shoved into a filing folder and stuffed into a corner on my kitchen counters. When I need a recipe, I basically have to look through the whole thing to find what I’m looking for. The idea behind the recipe box is one of de-cluttering and easier access. I’ll only put our favorite recipes in the box. You know, the tried and true dinners and desserts that I’m always coming back to in my recipe planning. 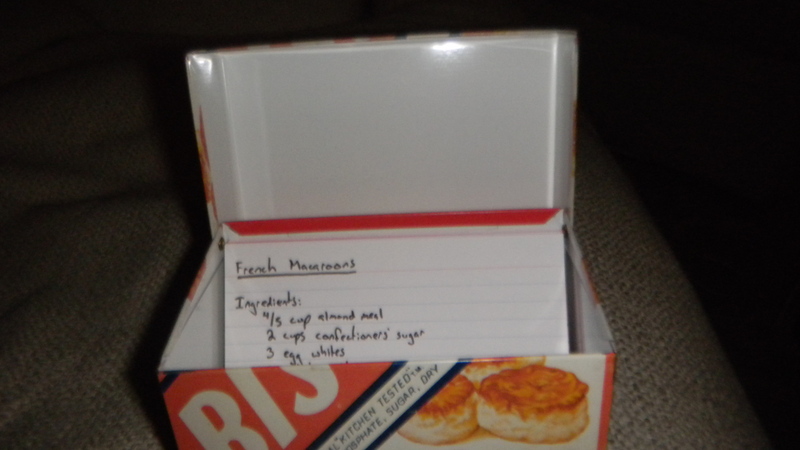 I figure that the recipe box is also a great way to weed out new recipes I try. I’ll make it once. If we love it, it’ll get transcribed onto a card. If not, the recipe gets tossed. No use keeping around a bunch of just OK recipes when there’s some great food out there. Additionally, the recipe box will be a motivator to try new dishes. In fact, we’ve decided to take a week in January and eat nothing but new foods. Whether home cooked or out at a restaurant we’ve never tried before, every dish we eat will be new to us. It’ll be a challenge, but it should be a fun experiment. What made the recipe box? If you have any great recipes, I’d love to try them. Maybe they’ll even be elevated to recipe box status! Thanks, Cindy, though yes, you are certainly prejudice. I will make some of Phoebe’s treats for us. Hope you like the bacon-peanut butter combination!